Following the thought provoking discussions I’ve been having about my project I think it would be a good idea to focus on the technology and the general concept in the mk2 prototype. That way, if I can prototype them to a good enough standard, I can then put it to one side while I focus on designing and building the chair in the run up to the degree show. There’s a couple of reasons why I think that’s the way to go: first off, it’s one thing to have a well crafted chair but if the project as a whole is not well thought out, it will drag the whole thing down; secondly, the chair should somehow embody what the project is about and that can only be done properly if I can really figure out the technology and how it used – who is the end user and what context is it in? If I can get these things set in stone in the mk2 prototype then the chair should more or less fall in to place and everything will tie up nicely. For that reason my mk2 prototype will mainly be about refining the technology and the experience. The chair design is not my main priority right now. However, I do intend to build a small stool to demonstrate my mk2 – this is to reacquaint myself with the workshop and give me a bit of practice in wood work and also embedding the technology. I like to think of it as a warm up – like a football player jogging, stretching and knocking a few passes around to get his blood pumping before the big game. Any pitfalls that are likely to come up should come to my attention over the next week which means I can plan to avoid them later. So on Friday, while I’m waiting for a few electronic parts to arrive, I spent the day in the workshop making a start on the stool. 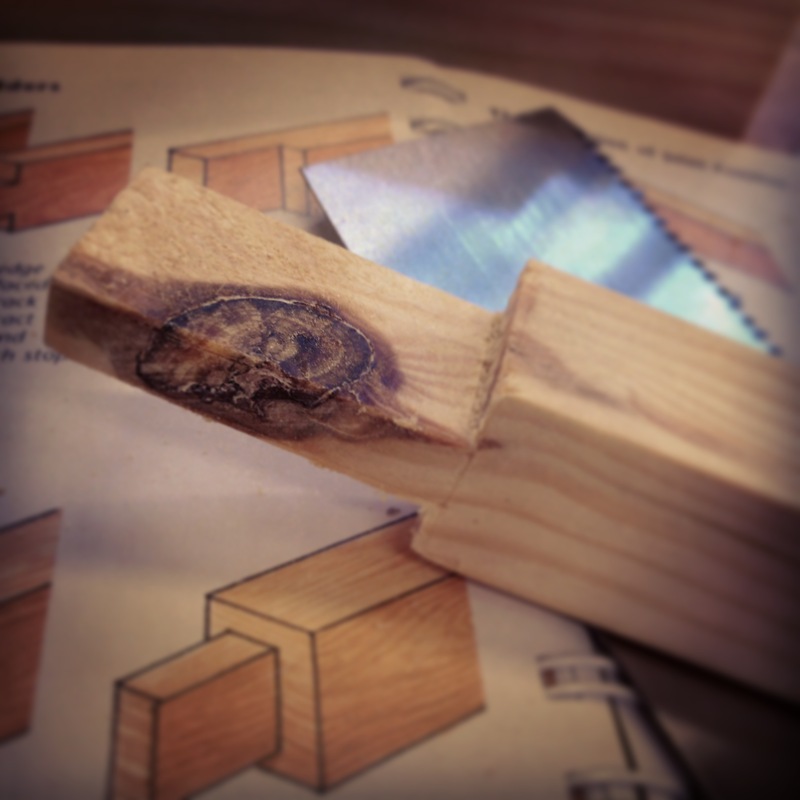 More than anything it was about me learning a few new techniques in wood work – namely mortise and tenon joints. I wanted to do it by hand as much as possible so I marked out all the measurements using a steel rule and a marking gauge before cutting out the joints using a Japanese saw, which Malcolm taught me how to use properly. I then ended the day by hand chiselling the joints, which admittedly I did a fairly shoddy job of, but practice makes perfect and as the day went on my chiselling improved. I’m fairly confident that I’ll manage a good enough standard to build my own chair.